Nobody knows Stargazer secretly dreams of freedom. Yet all he does is go around in never ending circles, entertaining hordes of excited children at the magical fairground. But when a curious boy climbs aboard the carousel pony’s back sharing tales of the Wildlings, Stargazer begins to ponder. Could there be another life outside the fairground where wild horses roam free? Stargazer will have to muster all his courage to not only believe in his dreams but also believe in himself if he is ever to taste the freedom he so desperately craves. 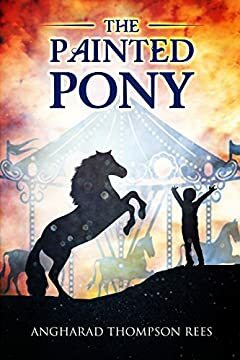 Can one small boy with big ideas help the painted pony discover freedom or will Stargazer be tethered to the fairground forever?